Mission: To equally promote the craft beer industry in the Triangle region of North Carolina and to provide member education and support. The Triangle of North Carolina traditionally consists of the territory between Raleigh, Chapel Hill and Durham. We have expanded our take on the Triangle to include surrounding territories, like Wake Forest and Smithfield. The Triangle is the second largest craft beer region in North Carolina with over 50 craft breweries, 5 breweries in planning and over 50 bottle shops! With so much craft beer in one place, we strive to create a platform that promotes every Triangle craft beer business so that we all succeed. 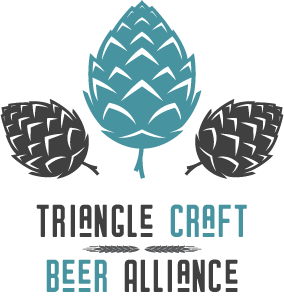 The 2019 Triangle Craft Beer Week!